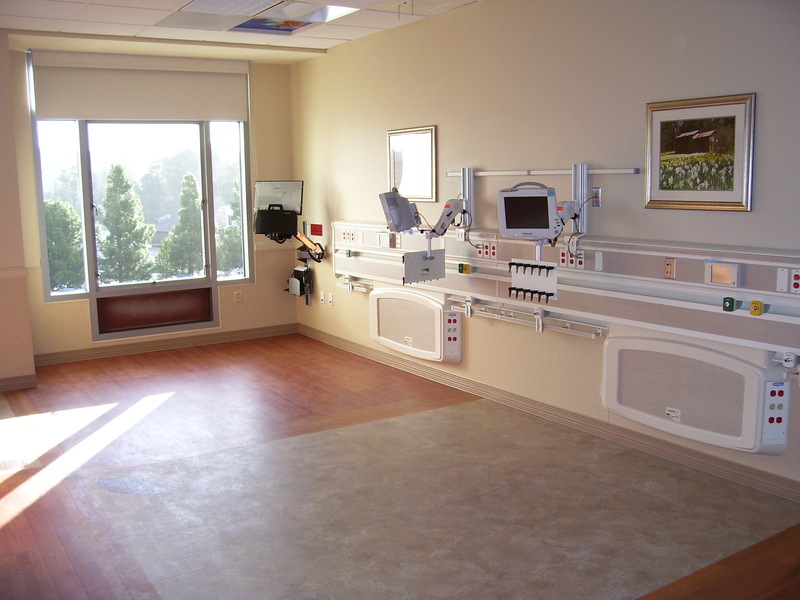 This complete makeover of the NorthBay Medical Center main campus consisted of two phases. 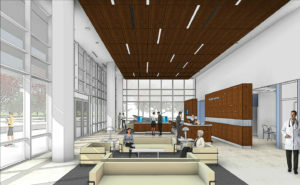 The first phase was a new pavilion that served as the welcoming center for the campus; additionally, facility upgrades to prepare for phase two were performed. 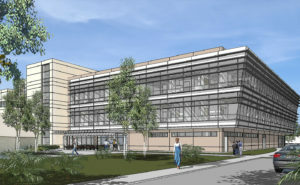 Phase two added a new three-story nearly 80,000-square-foot wing to the hospital. 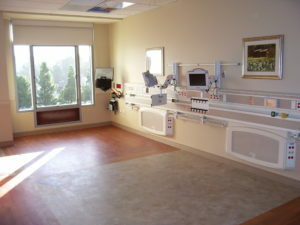 The new wing included a new home for the surgery department, imaging department, cafeteria and kitchen and included 22 patient rooms with the latest medical technology. All of this work ran concurrent with a renovation and expansion of the Emergency Department, also overseen by VPCS. Watch the celebratory installation of the building’s final steel beam in the video below. VPCS managed this remodel and expansion of the Emergency Department at this regional trauma center while the facility was fully operational. 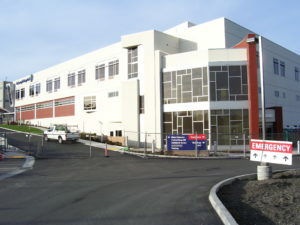 The project nearly doubled the size of the Emergency Room. 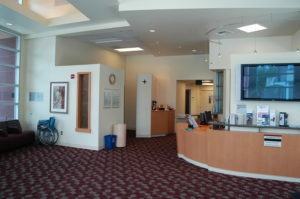 Additionally, the project involved upgrading the facility to the latest in medical technology while expanding the lobby and upgrading all of the interior finishes. This new 100,000-square-foot wing was designed to incorporate state-of-the-art medical technology. It boasts an all new pre-operative department, eight new surgical suites, a post-anesthesia care unit, new intensive care and progressive care units, an expanded emergency department and a new diagnostic imaging department. The project was completed in four years and replaced an existing wing of the hospital that had expiring seismic compliance. 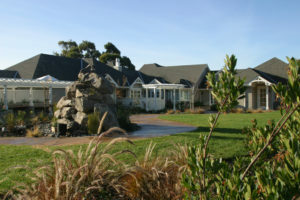 VPCS oversaw construction of the first freestanding children’s hospice and respite care facility in the United States. It now operates as a fully functional, OSHPD-approved medical facility that also provides terminally ill children with a comfortable environment. 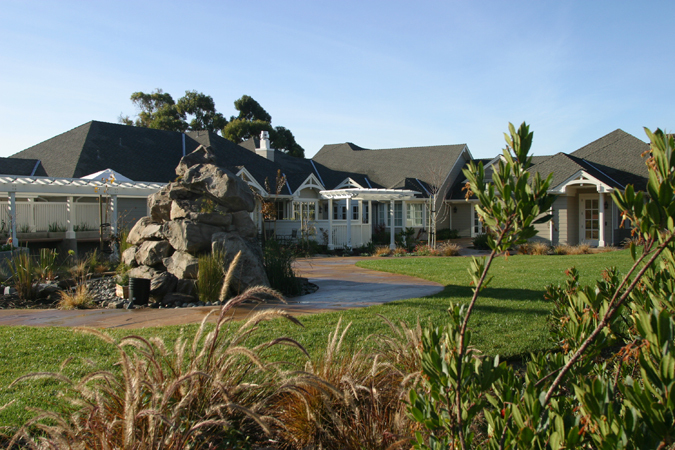 The 15,000-square-foot facility includes both private and family suites; communal and private gardens; a great room and family-style dining areas; music, art, speech, occupational and physical therapy areas; and companion pet programs. In addition to the main facility, a separate building contains an all-faith sanctuary. The project’s founder, Dr. Kathleen Hull, speaks poignantly of the impact and importance of George Mark Children’s House in the TED talk viewable below. Click here to support George Mark Children’s House.  Van Pelt Construction Services provided management services for a multitude of modernization and new construction projects at the Queen of the Valley Hospital. 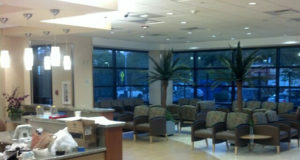 The new Women’s Center houses new labor and delivery facilities, a postpartum unit, a nursery and outpatient testing. The new Imaging Center is a remodel and addition to the administrative wing, housing a new MRI facility along with an associated control room and equipment. Other projects included the Ambulatory Surgery & Procedure Center, as well as The City of Napa Wellness Center. 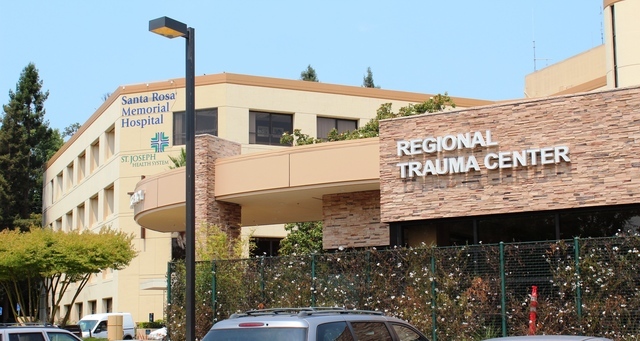 The scope of work for these projects included construction of all new freestanding facilities, substantial additions and non-structural remodels to the existing hospital building.